Saturday and Sunday should bring sunny skies back to the Catskills! Stop by the Catskill Interpretive Center on Route 28 in Mt. Tremper for trail maps and information. With a beautiful fall weekend ahead of us, it’s time to hit the trail! Sunny and mild temperatures during the day on Saturday and Sunday are sure to make any weekend hike ideal, albeit a little muddy. Trail Conditions: Over the last week the Catskills have seen a lot of rain and windy conditions. The trails are all wetter than usual, so be aware of slippery rocks and spring-like mud. We’ve had reports of downed trees and we suggest checking overhead for widow makers when setting up camp or stopping for a break. Temperatures are dropping into the 40s at night, so plan to pack fall hiking layers. Forecast: Friday, expect minor showers in the morning turning to mostly cloudy across the park. Temperatures will reach a high of 64º Friday, at night dropping to the mid-forties. Saturday will be mostly sunny with a high near 62. At night, expect a low of 40-41º. Sunday will also be mostly sunny with a high near 59º, with temperatures dropping to 45º at nighttime. Hunting Season: This Monday, October 1st marks the beginning of hunting season for many species such as coyote, cottontail rabbit, and squirrel. The DEC’s website has some useful maps of New York with regional and species-specific hunting information. Hikers should plan to dress in bright colors to stay visible. 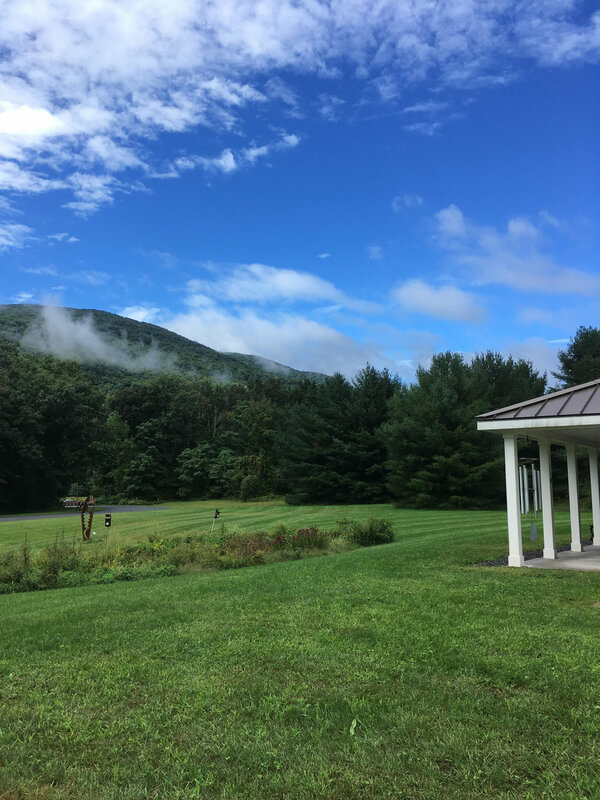 The Catskills Guide to Leave No Trace: Essential skills and outdoor ethics are crucial for enjoying the Catskill Park in a safe and responsible manner. Read on to discover the top three Leave No Trace considerations this week. Know Before You Go – “If you fail to plan, you plan to fail.” (Benjamin Franklin) These words have incredible application to the outdoors, where failing can lead to injury or worse. This week, plan for muddy conditions, dropping temperatures, and do plenty of research on the route or area you want to visit. Insects and Ticks (Tick Safety Tips): With cooler temperatures, mosquitoes and most other biting insects are kept at bay. That said, stay alert to ticks. Ticks carrying lyme disease are present and active in the Catskills throughout the fall when the temperature is above 45º, as are other tick species. Be sure to be prepared with repellants (see our suggested products) and always complete a tick check after hiking to ensure there are no ticks on your body. If you find a tick, make sure to remove it properly. Peekamoose Blue Hole: A free day use permit is required to visit the Peekamoose Blue Hole on weekends and holidays. Permit regulations are in effect now through October 15th and they can be obtained through the Reserve America Website.